Is craving for chocolate bad? May be, but not all chocolates are bad. If you want to reap the benefits of chocolate, you have to be a little more judicious. Instead of milk chocolate, real dark chocolate that has at least 70 per cent cocoa has enough flavonoids. Yet limit yourself to about an ounce a day or in two days. Its antioxidant capacity is on par or greater than many super foods and makes it richer. An addition of almonds to dark chocolate is considered even healthier as almonds provide healthy fats. Research has backed up some of the incredible health benefits that have been credited to real dark chocolate that isn’t processed. Dark chocolate has a good effect on inflammation. It may reduce the risk of cancer and dementia. Due to the presence of certain chemicals, it may provide a mood and energy boost and help prevent depression. 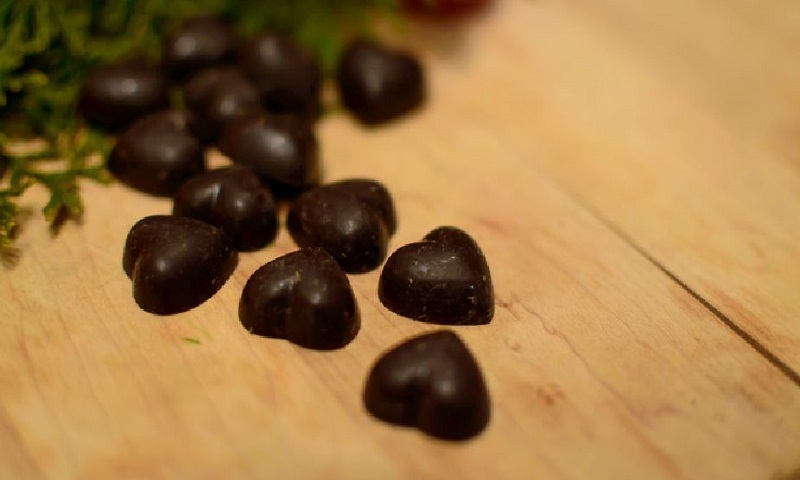 Few studies indicate that dark chocolate can help prevent cardiovascular disease. Dark chocolate has been shown to help prevent stroke. It is a potent blood sugar aid. It may decrease sugar level and can be an armour against diabetes. Improving LDL cholesterol and raising HDL cholesterol, dark chocolate is good for overall cholesterol profile. Loaded with antioxidants, it can combat free radical before they cause any harm to you. One of the chemicals in dark chocolate help to treat cough. It aids better cognitive function. Dark chocolate is good to lower blood pressure. Dark chocolate is good or at least not bad. But don’t overeat. The levels of flavonoid compounds in dark chocolate depend on how it is processed. For example, chocolate that has gone through a chemical process known as ditching, loses all traces of these compounds. Check the label: 60 to 70 per cent cocoa content. It’s bitter, crunchy but a treat full of nutrition. Portion control is the key. Enjoy chocolate guilt-free.